Really, there was a time before the internet. Back in 1994 the internet was in such an early stage that now common phrases were confusing to just about everyone. Take former "Today" show hosts Bryant Gumbel and Katie Couric as just two examples. 21 years ago the pair proved their internet ignorance on live morning television. They didn’t even fully understand the concept of email. They weren’t dumb; the technology itself was just so new. 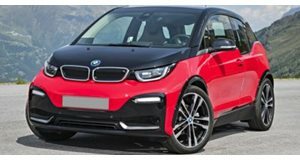 And BMW seems to believe people today are as oblivious about electric vehicles as they were about the internet over two decades ago. Gumbel and Couric have been reunited for the BMW Super Bowl commercial promoting the all-electric i3. The two are now trying to figure out EVs and, oddly, windmills.